OQZO Metalsmith is a jewelry making school, teaching the craft and techniques of jewelry making for beginners and professionals. Don't miss an opportunity to learn from these leaders in the art of jewelry making. Mark your calendar and register for upcoming visiting instructor classes. Just getting started? Take the workshop called, "Tools and Skill: The Fundamentals of Metalsmith." With flexible dates, just let us know when you're ready. Looking to learn a new skill or create something new? We offer one and two-day classes that help hone your skills to creating pieces of art jewelry and have a great time doing it. Need a place to create? Open studio days are available to jewelry artists and OQZO Metalsmith students in need of a place to work. Tools, metal and material are available for purchase. 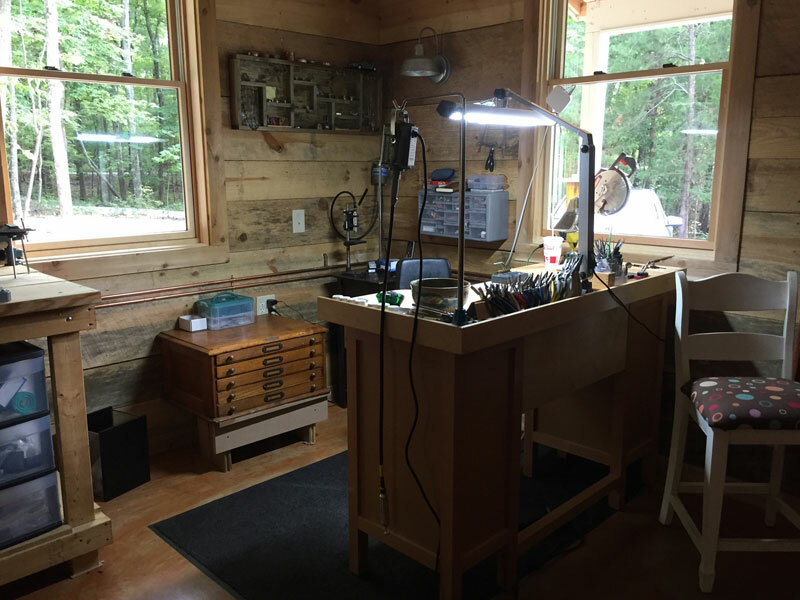 Each work bench is will equipped with all the bench tools necessary to make fine jewelry. Take a look at the full list. Tools, metal and material are also available for purchase. Whether you choose a class from a list of classes, or come to "Open Studio" we are here to help you create your own piece of art. Lynn Occhiuzzo's hand-fabricated watch case, buckle and band was awarded as a 2015 Finalist in the prestigious Saul Bell Design Award in the 'Holloware' category. 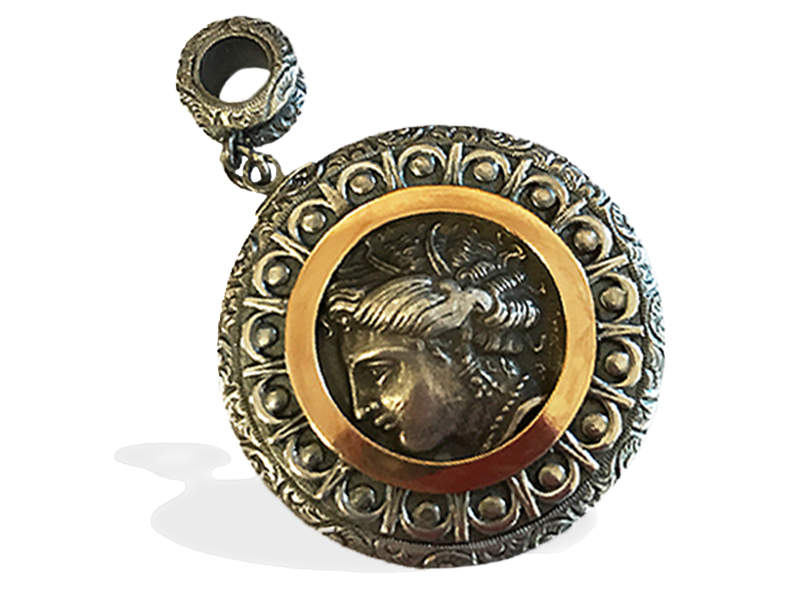 Lynn's sterling silver watch case was featured on the 2015 Saul Bell Design Award Finalists book, a full-color collection of all the finalists' designs. See what our students are creating in handmade pieces of wearable art. Whether you are new to making jewelry or are looking for a space to bring your creative visions to life, OQZO Metalsmith is here to give advice, help or just talk through a project. 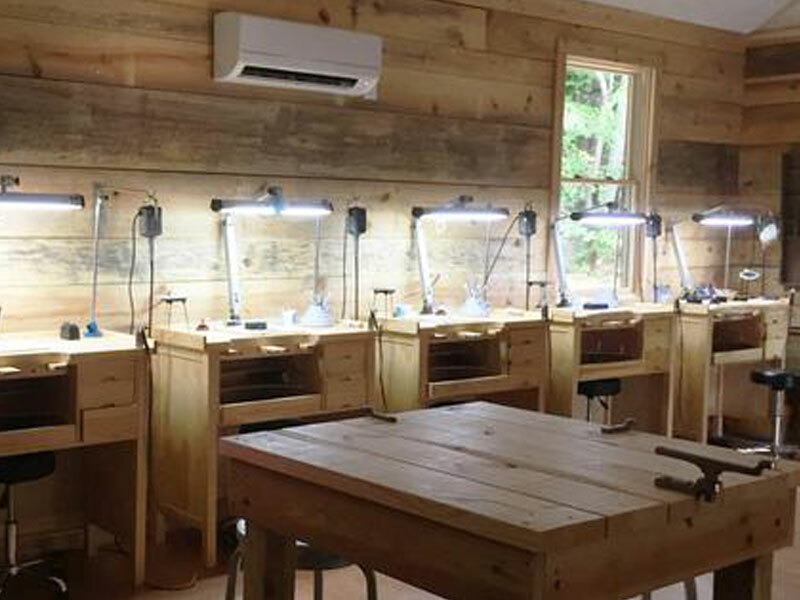 OQZO Metalsmith is located in the beautiful and quiet woods of Hillsborough, North Carolina and provides a well-lit, well-equipped studio enviroment perfect for teaching and creating handmade sterling silver jewelry.